Mornings and snack times just got healthier and easier! 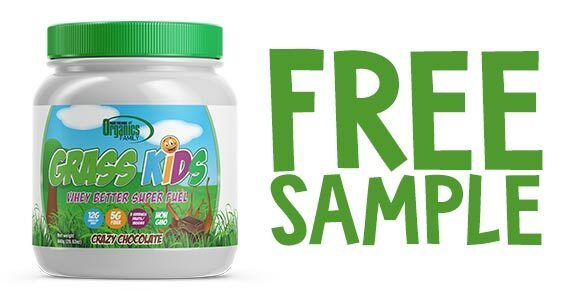 Right now you can sign up with Grass Kids to try out their Chocolate Protein Shake for free. – Non-GMO Ingredients & Organic Grains: Support overall growth/development, heart health, immune system, healthy muscles, improved blood sugar level, digestive system, & gut health. – Sustained Energy: No sugar crashes! – Quality Nutrition: Boost your child’s immune system, brain health, build and strengthen bones, lasting energy, and overall health. – Optimal Nutrition: Keeps Kids fuller longer including a Multi-Vitamin Complex. – Affordable: Nutritional Meal for LESS than a fast food Kid’s meal! – Calories: 230 quality calories not wasted on fillers or sugar! Not even organic sugar! To claim this freebie, click through and enter your information into the boxes.